If the buildup for Alabama was one side of the coin, the buildup for UMass is the other. Here's today's lowdown. I mean, I guess that's interesting...but unless it's football, does anyone really care? Oh, but wait...they will schedule 5 ACC games per year. Make no mistake, this move is all about football scheduling. The rest of the sports are window dressing. This moves the typical Notre Dame football schedule footprint from midwest-centric to national, with a strong emphasis on the southeast. Notre Dame will probably maintain strong midwest rivalries like Michigan, MSU...maybe Purdue. But regular road games to the south, especially in Florida, will be used to gain valuable recruiting exposure. Stanford and USC will obviously remain staples on the schedule to maintain those west coast ties. This move also sets Notre Dame up with being able to schedule strong football opponents in the new BCS era where strength of schedule is now taken into account. This was a great move by the Irish. The move didn't include football, but it was all about football. Clark will be sentenced at 1:30 p.m. on Oct. 23 -- the same day and time as teammate Fitz Toussaint (DUI) -- and faces a maximum punishment of 15 years in prison and a $3,000 fine. He will be sentenced under the Holmes Youthful Trainee Act, which allows him to have the charge expunged if he successfully completes probation. I'm thinking Hoke's doghouse would trump any sort of "probation" the county could impose. Nice that the court could coordinate Clark and Fitz's hearings on the same day, I guess. The day after John Beilein helped the Michigan basketball team win a share of its first Big Ten championship in 26 years, he got a special visitor at practice. "He gave me a hug, but to me, it was a quarterback sack," Beilein laughed. "He almost knocked me out, he almost broke a rib. "He came over because Big Ten championships are what he's about." Not that I'm a true insider or anything, but I did get the random opportunity to share a brief elevator ride in the pressbox with Beilein towards the end of Michigan's win against Air Force on Saturday. He was very cordial with the other media folks in the elevator, and went out of his way to mention, affectionately, how "Brady was having to really work today". We all smiled and nodded our heads in agreement. 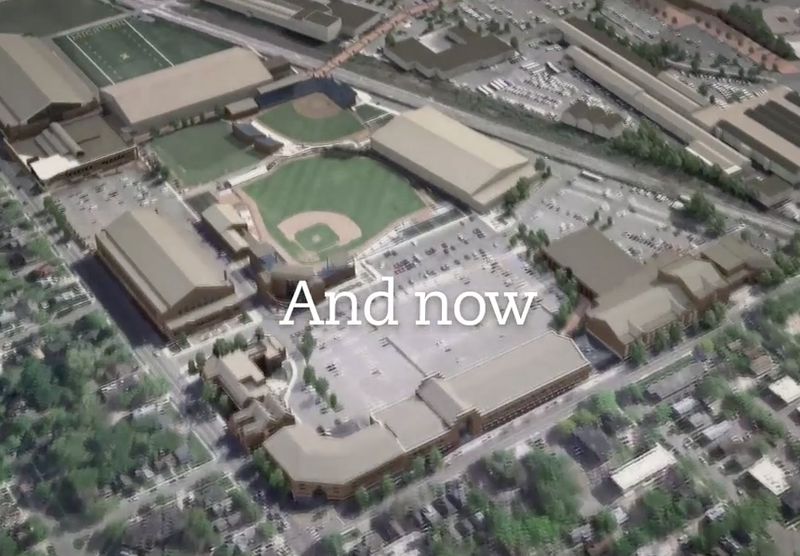 Sort of a mission statement type of video for the athletic department. 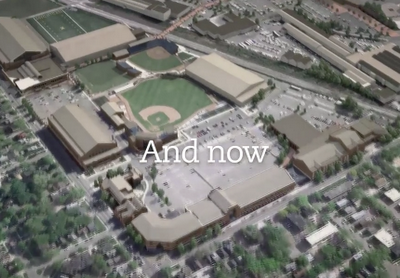 Also, a grand vision for the athletic campus which will run around $250 million dollars. Part of the plan is to turn Ferry Field into a parking lot. Ferry Field, which was home to the Michigan football team until Michigan Stadium opened in 1927. Ferry field, which was then turned into a track and field facility when, in 1935, Jesse Owens set five world records and tied another. Mattison weekly presser video. Michigan State plays Notre Dame this weekend, which is gives us the opportunity to post this again. MGoBlog picture pages the Air Force option scheme and drops some football knowledge on us. Excellent read I just passed this onto a colleague who was doing a little research on that. And he actually bought me lunch because I found it for him smile So let me rephrase that: Thanks for lunch!